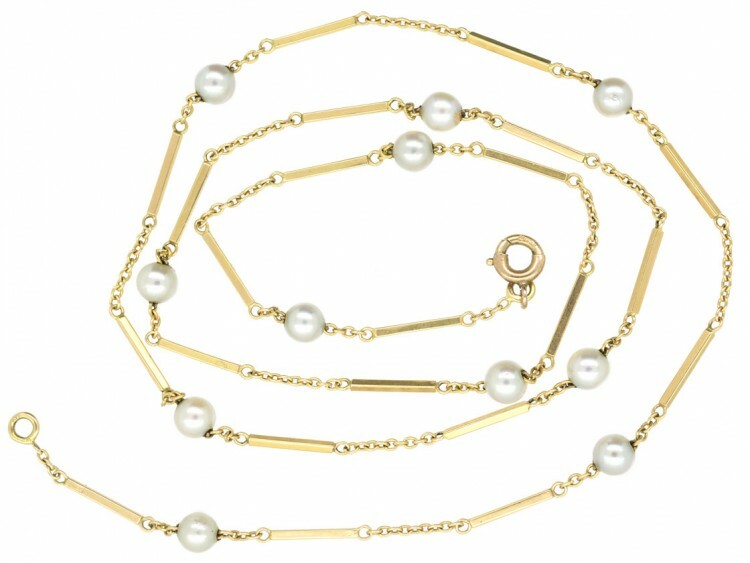 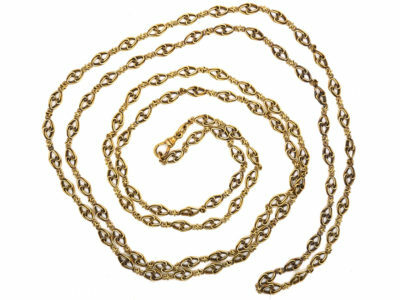 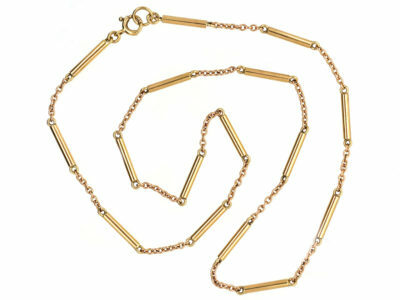 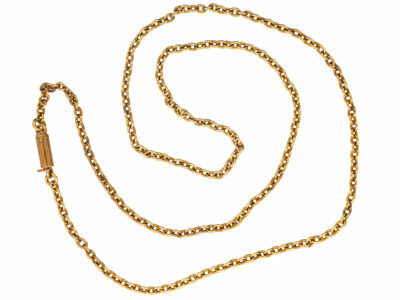 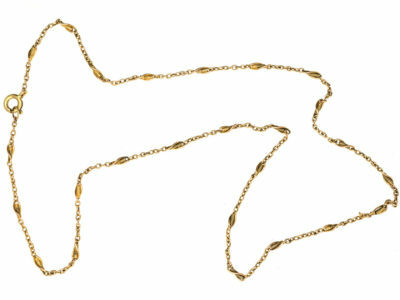 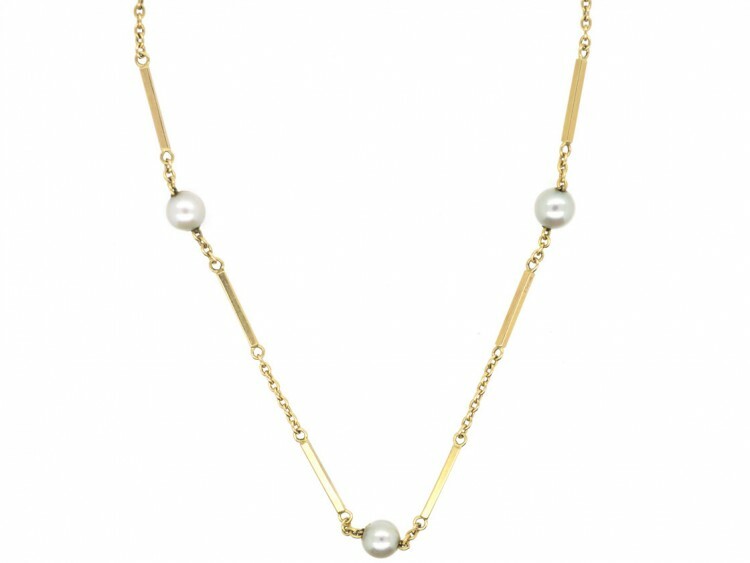 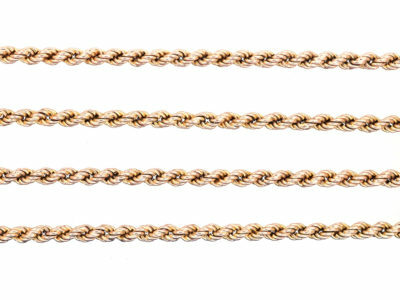 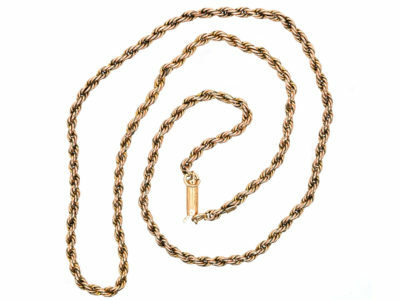 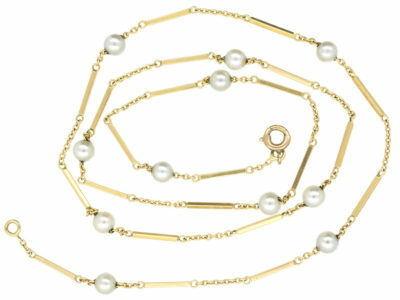 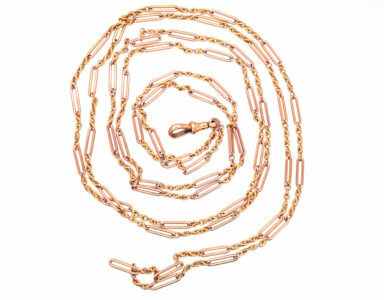 A good 18ct gold chain interspersed with pearls. 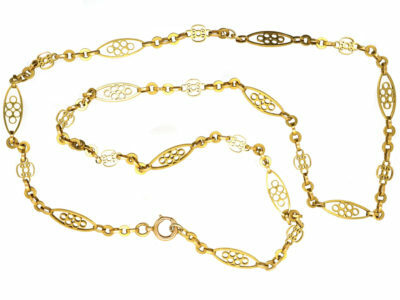 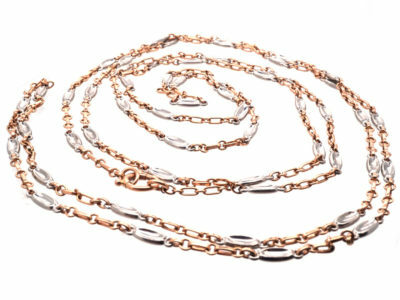 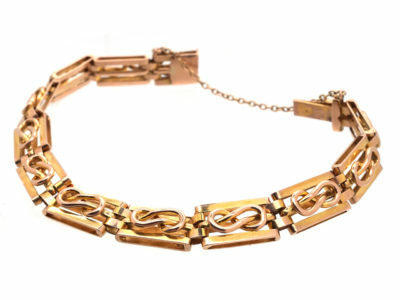 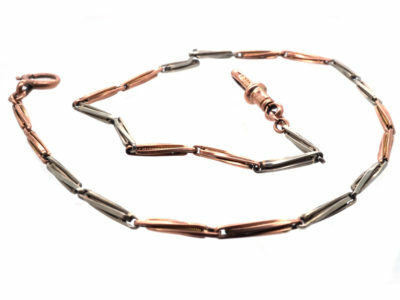 It is very decorative as the links are unusual. 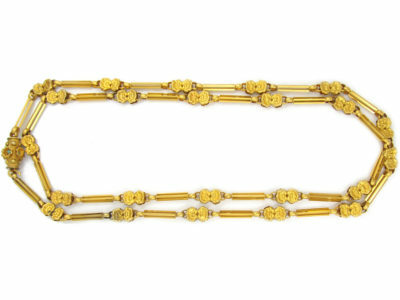 It was made circa 1910-1920 in France.